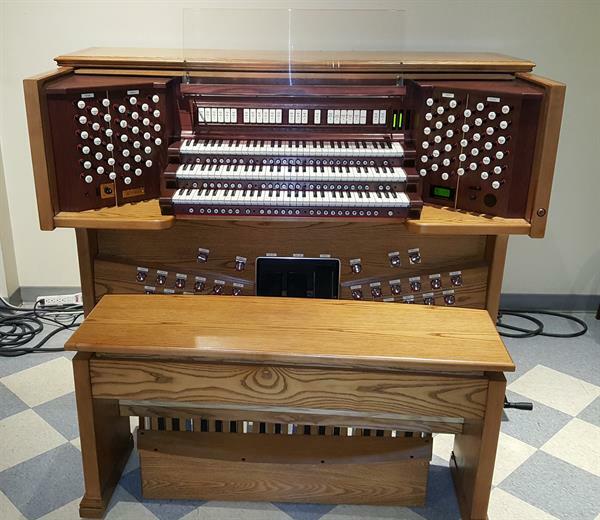 This Rodgers Masterpiece, model 968, features 76 stops, mechanical drawknobs, sub and super couplers in both the choir and swell divisions, and a customized specification. This Rodgers Opus 1655, built in 2008 in Hillsboro, Oregon. It can be seen by appointment at our showroom in Jessup, Maryland. 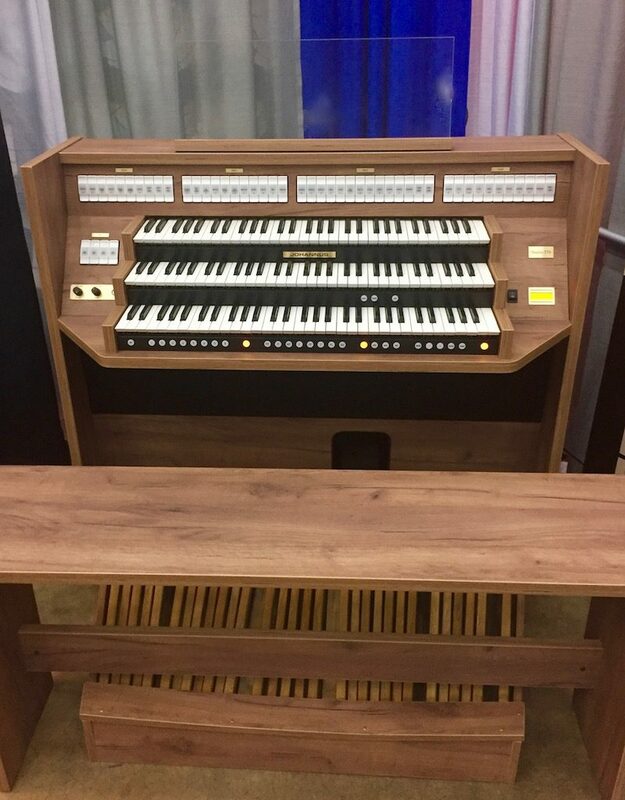 The console is a medium oak outside with a dark oak interior, as pictured. The cost includes eight channels of audio, delivery, installation, a three year warranty and voicing in our major market area. Additional channels of audio can be added for large sanctuaries. Shipping and installation outside of our major market area is available by quotation. The complete specification is here.